If you are having issues related to the hardness of your water, Water Purifiner can help. Among the products we have in stock are water softeners for Ottawa and surrounding area clients. 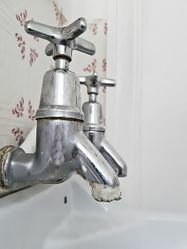 Water softening is the removal calcium, magnesium, and other metal particles in hard water. A water softener will save you money by reducing your use of soap, shampoo and cleaning supplies. It also lowers your energy consumption by reducing build-up in water heaters. Your hair will be softer and more manageable and you’ll have silky skin after showering. Not only this – but you’ll also add years to the life of your appliances! The Water Purifiner will suggest which equipment will be best for your purest and safest drinking water. We guarantee our work 100% … We Care About You! Water Quality: What Are the Signs? 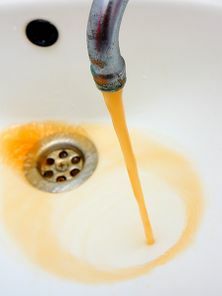 In general, well water that comes from a faucet or a tap will appear clear and colorless. But when water contains colorless, dissolved iron and is allowed to stand in a cooking container or makes contact with a sink or a bathtub, the iron will combine with oxygen from the air and form reddish-brown particles, known as rust. Manganese, on the other hand, will form brownish-black particles. These types of impurities will give a metallic taste to water and food. When small amounts of iron are found it water, it is often due to the large amount of iron that is present in the soil as well iron carried by corrosive water from pipes. When clothing is washed in water containing excessive iron, it can become stained a brownish colour. It can also impact the taste of beverages, like tea and coffee. Manganese will produce a brownish colour in laundered clothing and will leave black particles on fixtures and affects the taste of beverages. To figure out exactly what’s wrong with your water, you can schedule a free in-home water analysis and we will figure out the problem. Call to schedule your water analysis!